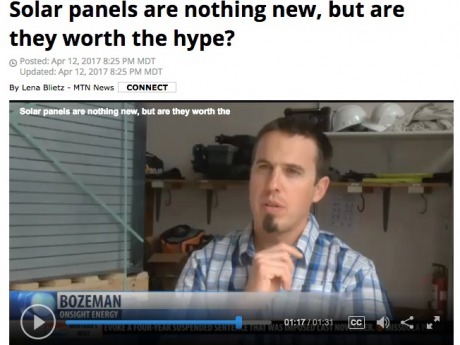 A reporter from KBZK wanted to find out if solar panels are "worth the hype", and received a resounding "yes" from the Bozeman community. KBZK talked to OSE's Conor Darby, the owner of Bozeman Brewing Company, and the Executive Director of the Emerson Center (an OnSite Energy installation). Though the segment is short, the message is clear that between the financial benefits of taking control of your own energy bill and the environmental benefits of using pollution-free energy, solar is indeed worth the hype.